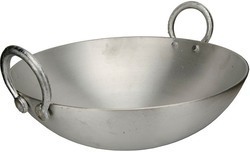 Pioneers in the industry, we offer aluminium fry pan, aluminium deep karahi, aluminium kettle, aluminium tadka pan, aluminium tope and hard coating aluminium fry pan from India. 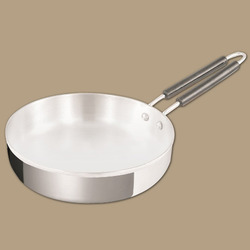 Backed with rich experience and knowledge in this sector, we are considered to be one of the most professional manufacturers and exporters of aluminum Fry Pan. Owing to the expertise of our team of experienced professionals, we are able to manufacture and supply an exclusive range of Aluminium Deep Karahi. 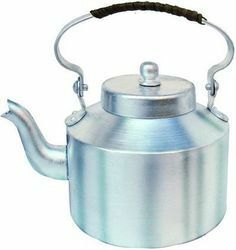 Riding on unfathomable volumes of industrial expertise, we are offering an excellent range of Aluminium Kettle. 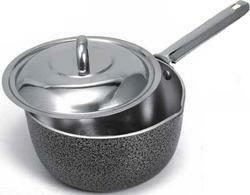 The fry pan offered by us is manufactured using optimum grade material and latest technology at our manufacturing unit. In addition to this, our product is getting huge appreciation amongst our clients for its easy to clean nature and reliability. 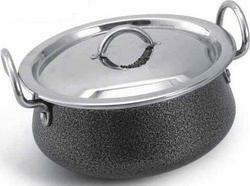 This fry pan is available in a variety of grades and dimensions for our clients to choose from us at marketable price. 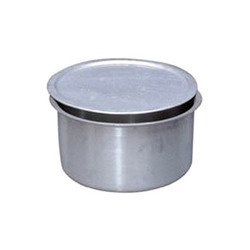 Owing to the expertise of our team of experienced professionals, we are able to manufacture and supply an exclusive range of Aluminium Tadka Pan. Owing to the expertise of our team of experienced professionals, we are able to manufacture and supply an exclusive range of Aluminium Tope. 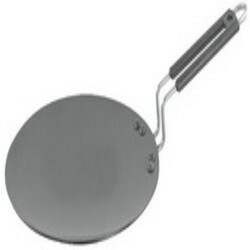 Owing to the expertise of our team of experienced professionals, we are able to manufacture and supply an exclusive range of Hard Coating Aluminium Fry Pan. 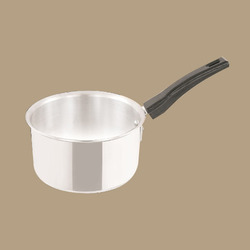 Owing to the expertise of our team of experienced professionals, we are able to manufacture and supply an exclusive range of Hard Coating Aluminium Sauce Pan With Lid. Owing to the expertise of our team of experienced professionals, we are able to manufacture and supply an exclusive range of Hard Coating Aluminium Handi. Owing to the expertise of our team of experienced professionals, we are able to manufacture and supply an exclusive range of Hard Coating Aluminium Deep Karahi. 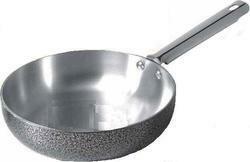 Owing to the expertise of our team of experienced professionals, we are able to manufacture and supply an exclusive range of Hard Coating Aluminium Tadka Pan. Owing to the expertise of our team of experienced professionals, we are able to manufacture and supply an exclusive range of Hard Coating Colour Aluminium Deep Karahi. 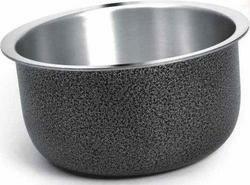 Owing to the expertise of our team of experienced professionals, we are able to manufacture and supply an exclusive range of rd Coating Aluminium Tope. Owing to the expertise of our team of experienced professionals, we are able to manufacture and supply an exclusive range of Hard Anodized Aluminium Tope. 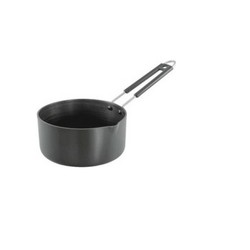 Owing to the expertise of our team of experienced professionals, we are able to manufacture and supply an exclusive range of Hard Anodized Aluminium Fry Pan. 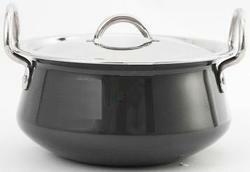 Owing to the expertise of our team of experienced professionals, we are able to manufacture and supply an exclusive range of Hard Anodized Aluminium Stock Pot. 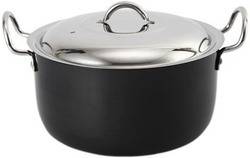 Owing to the expertise of our team of experienced professionals, we are able to manufacture and supply an exclusive range of Hard Anodized Aluminium Tadka Pan. Owing to the expertise of our team of experienced professionals , we are able to manufacture and supply an exclusive range of Hard Anodized Aluminium Handi. Owing to the expertise of our team of experienced professionals, we are able to manufacture and supply an exclusive range of Hard Anodized Aluminium Deep Karahi. 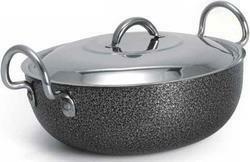 Backed by sound infrastructure, we are able to provide patrons with superior quality Hard Anodized Aluminium Sauce Pan. 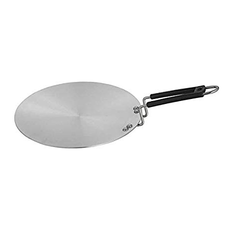 Owing to the expertise of our team of experienced professionals, we are able to manufacture and supply an exclusive range of Hard Anodized Aluminium Tawa. Owing to the expertise of our team of experienced professionals, we are able to manufacture and supply an exclusive range of Aluminium Juice Machine. 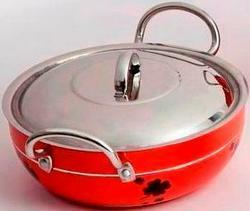 Backed with rich experience and knowledge in this sector, we are considered to be one of the most professional manufacturers and exporters of Aluminium Tawa. 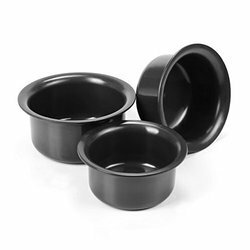 Backed with rich experience and knowledge in this sector, we are considered to be one of the most professional manufacturers and exporters of Sauce Pan.